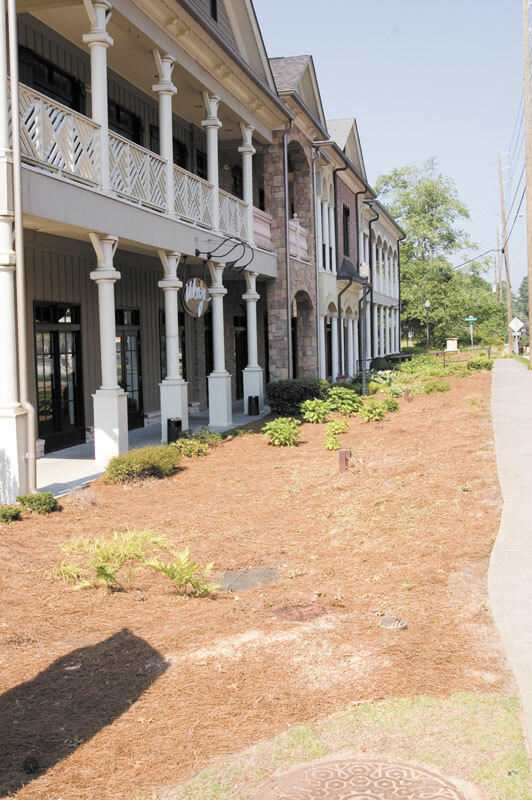 In less than a month, the trees that were illegally cut down in June in front of the Brookhaven Park Village commercial building on Dresden Drive will be replaced, according two people who said a replacement plan came together the weekend of Feb. 20. The trees had been slated to be replaced by Arbor Day, Feb. 19, but that did not happen. According to Dist. 2 DeKalb Commissioner Jeff Rader and John Gurbal, who is overseeing the project for the DeKalb Department of Transportation (DOT), the property owner could not locate the 8-inch-caliper oak trees that had been agreed upon as replacement trees during a public meeting in October. So Ronnie Mayer, who refers to himself as “a doer, not just a talker,” got back involved and brought Al Simpson, who Mayer calls “the guru of trees in the Southeast,” to the Feb. 20 meeting with Rajen Sheth, managing director of Pinnacle Real Estate Partners, which owns the commercial building. Jim Eyre of the Ashford Park neighborhood and the DeKalb County representatives also attended. Mayer said Simpson, who heads Lone Oak Enterprises, was able to supply the plantings required to execute the plan, including the seven 8-inch-caliper oak trees that are considered the focal point of the design. Those trees will be supplemented with some crepe myrtles and possibly another tree of type on the ends of the property. A design for the replanting and the type of trees and other supplemental plantings was determined at the Oct. 26 community meeting attended by Sheth, about 20 community representatives and DeKalb County Commissioner Kathie Gannon and Rader. The saga began on a Sunday morning last June when Sheth had 17 maturing oak trees in the DeKalb County right-of-way in front of 1441 Dresden Drive illegally removed. Sheth was threatened by Rader and the DeKalb County district attorney with jail time for vandalism of county property if he did not agree to replace the landscaping. 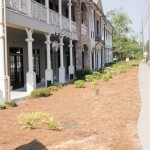 The landscaping in the right-of-way was part of the original conditions for approval of the commercial development. In order to meet the county’s requirement of one-to-one replacement of the total tree caliper with those that were illegally cut down, three 8-inch oaks will be planted at the Ashford Park Community Center, along with some other smaller trees, and one 8-inch oak and three crepe myrtles will be planted at Clack’s Corner Park in Brookhaven. Consultants from Kimley-Horn and Associates, who were hired by the county to work on the project, presented three possible plans. Community representatives picked one plan to be implemented. It was to be paid for by Sheth and his company. According to Mayer, the Kimley-Horn consultants were unable to find the trees in the type and caliper size called for in the approved plan. Mayer had been suggesting for months that the county and Sheth deal with Simpson, who Mayer believed could supply the needed trees. Mayer said after the Feb. 20 meeting that Simpson will have the trees on Dresden Drive and at Asford Park within less than a month. At the end of the October meeting, many thought the trees could be replanted by the end of November. But that was delayed in part because Sheth decided he wanted to add some benches to the plan. Sheth did not return phone messages requesting a comment. Gurbal, who will be handling the permitting for the replanting of the trees in the county right-of-way, said there may be a slight change in the placement of the trees and crepe myrtles from the original design, but there are no substantial changes.